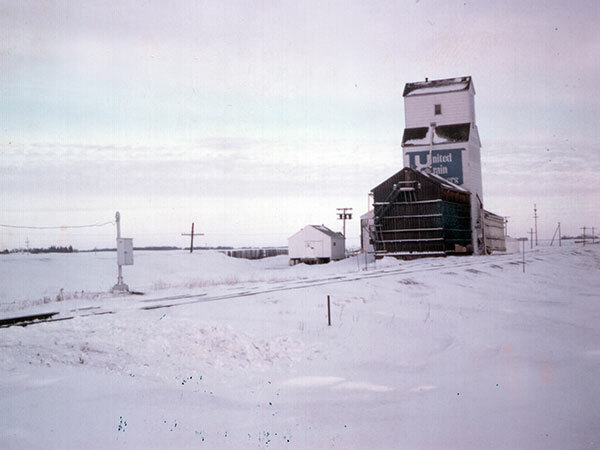 A wooden grain elevator at the railway siding of Newstead, on the CPR Glenboro Subdivision in what is now the Municipality of Souris-Glenwood, was built in 1936 by the McCabe Grain Company. 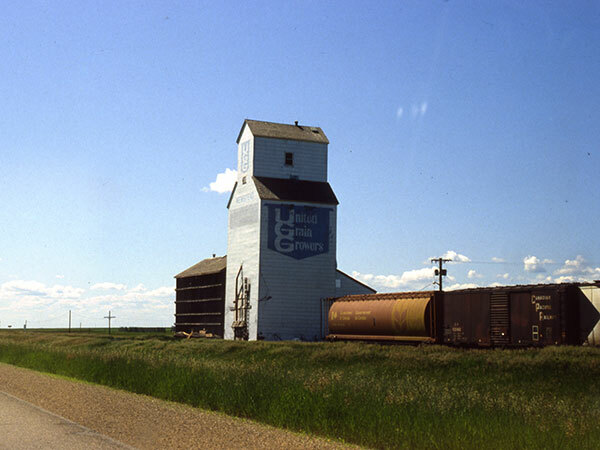 Bought by United Grain Growers in 1968, the elevator was renovated and a balloon annex was moved beside it from nearby Carroll. The facility was closed in June 1982 and removed from the site. Roland East topographic map, 62H/5 East, Edition 1 ASE, Series A743 [UFS Reference Collection]. The People of Souris and Glenwood from the Earliest Beginnings to the Present by Souris and District Heritage Club Inc., 2006. We thank Julie Harris and Pat Didychuk for providing additional information used here.